To celebrate his birthday today, the gospel singer has reveals his only goal in life. Chris Morgan’s only goal in life is God. The award winning worship leader and and one of Nigeria’s foremost gospel ministers reveals this in a post on his Facebook page. My only goal is God himself. The reason I live is to worship Him. I am forever grateful to Yahweh for another year. For preservation and provision, for the gift of life and time. Thank you Lord for your graciousness towards me. Chris Morgan has been a tremendous blessing to the body of Christ as his ministry is raising worship to God. His deeply spiritual songs and lyrics brings healing and hope to the downcast. 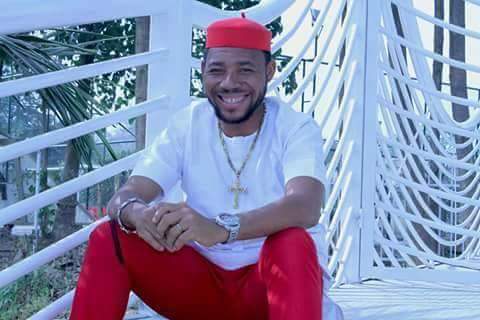 We join the rest of the world to wish him a very happy birthday and more grace to carry this worship of Yahweh to the ends of the earth. Happy birthday Chris Morgan @officialchrismorgan.